Sometimes news doesn't really feel new, you know? 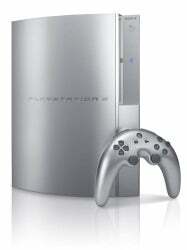 We weren't the only ones to comment on the expense of producing each PlayStation 3 (especially with that expensive Blu-ray drive), and it seems that every new console released in the last decade has been dogged with speculation that the manufacturer will be taking a loss on the hardware. But this time Sony has fessed up all on its own, sort of. A BusinessWeek article vividly uses the word 'hemorrhage' to describe the 100 billion yen ($871.6 million) operating loss it expects to suffer during the business year just in preparing for the PS3 launch (the half-year delay doesn't help, either). Granted, they expect to balance some of this by strong initial sales (they expect to outpace Xbox 360 sales) and cutting manufacturing costs on the PS3 over time as chips and parts get cheaper, but that's still a whole lot of cash -- enough to motivate Standard & Poor's to cut Sony to a " strong sell ".